We read the Bible so we can learn more about Jesus and gain practical wisdom for life. If you’re new to following Jesus or have been reading your Bible for years, it can still be a struggle to get into God’s Word. Don’t get bogged down by what you don’t understand. Use these five questions and you’ll learn something new every time you read. There are hundreds of promises in the Bible. Use these three questions to discover which promises are for you and how to apply them to your life. The most logical place is the beginning, right? This article explains why the Bible is the only book we don’t always read from beginning to end. Have you ever felt a nagging doubt when someone says, “The Bible says…”? This article will help you tell the difference between what God said and what people think God said. Discover a plethora of devotionals sorted by topic or book of the Bible. Keri thought she was doing things right but knew she was missing intimacy with Jesus in her daily life. 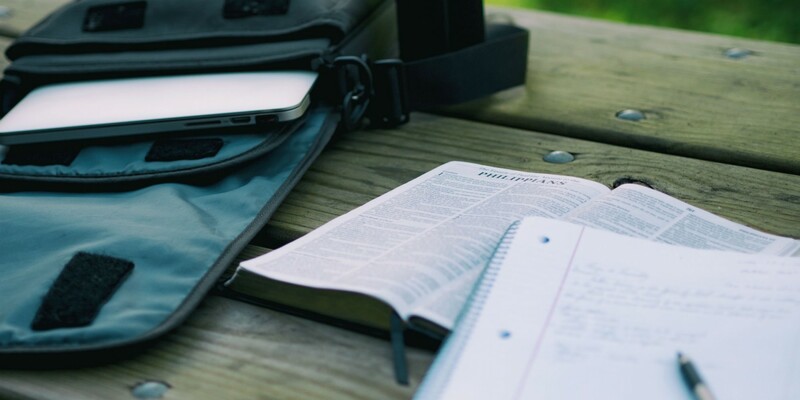 Discover how she found a hunger to read her Bible daily. The Bible was written by many different people over hundreds of years and includes a variety of different kinds of literature. Often the key to understanding what we're reading is knowing why and how it was written. There are so many books about God we have bookstores dedicated to just Christianity. With so many options, it's easy to substitute reading about God for reading the one book written by God. See why the Bible is still the best place to learn about your heavenly Father.